Become a Dental Assistant and Make Someone Smile! It’s generally believed we only have one chance to make a first impression. A person’s smile can often define how we are perceived and how we view others. In fact, about 45% of survey participants agree a smile is the most attractive feature, no matter their age. A new study by the American Academy of Cosmetic Dentistry (AACD) finds that a great smile can be our strongest asset and goes a long way in nailing an incredible first impression. If your goal is to help provide a winning smile and healthy teeth for dental patients, let us provide the education and skills to attain that goal. Graduates will have developed skills in a hands-on learning environment to function effectively as an integral member of a dental health team. How will IntelliTec College prepare me for my Dental Assistant Career? 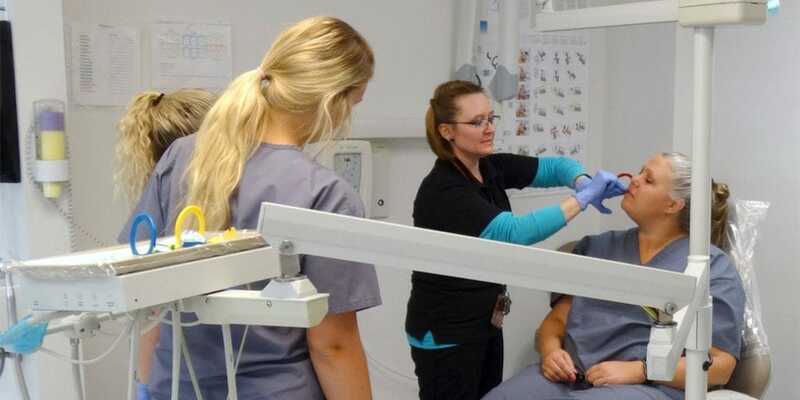 Additionally, dental assistant students gain experience by providing dental services to the community in Grand Junction. Call (970) 245-8101 between Monday-Thursday, 8 a.m. to 1 p.m. to schedule an appointment today. Some services may incur a fee. Please ask about the cost of your service when you set your appointment time. 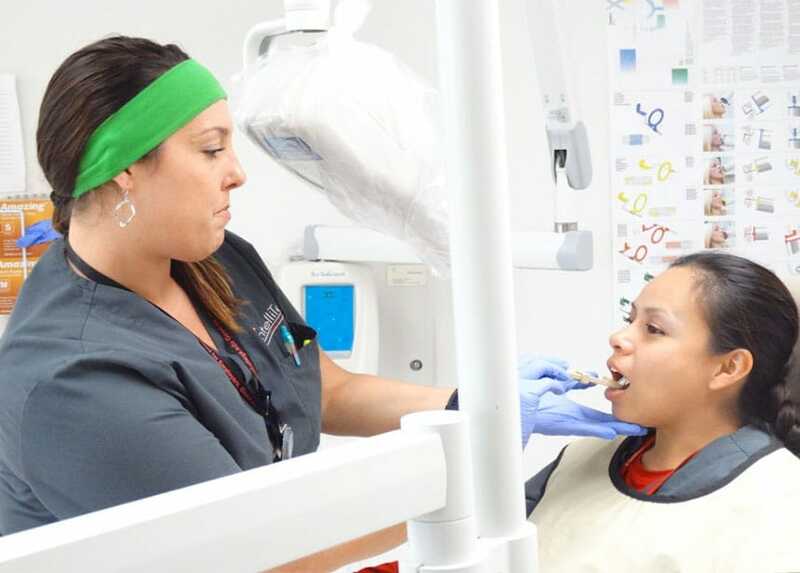 The Dental Assistant Certificate Program includes an externship at an approved outside facility to provide the student with supervised on-the-job training and the opportunity to practice skills learned throughout the program and gain specialized knowledge of individual skills. 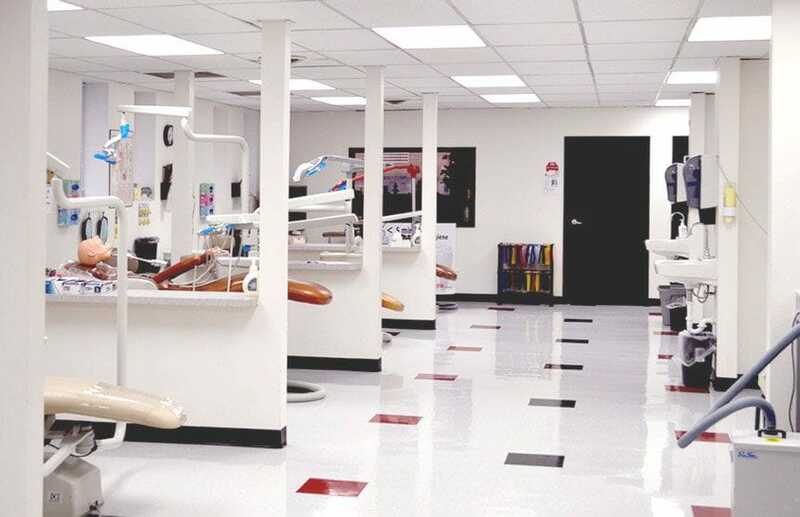 Your training at IntelliTec College will prepare you for the Dental Assisting National Board (DANB) exam. Please note that 3500 hours of general chairside office training is required before taking the exam. Dental Assistants perform tasks that range from patient care and taking x-rays to recordkeeping and scheduling appointments. Some duties vary by state and by the dentist’s offices where they work. Typically, assistants may prepare patients and work areas for treatments, help dentists handle instruments, and instruct patients on oral hygiene. According to the US Department of Labor, job opportunities are expected to be good with ongoing research linking oral health and general health increasing the demand for preventive dental services. 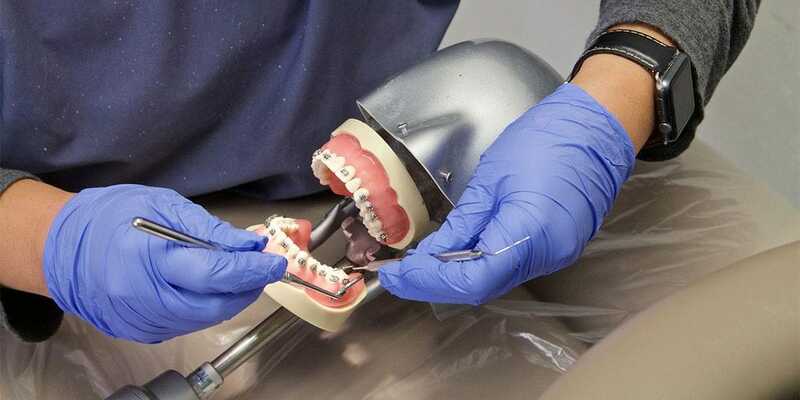 Dentists will continue to hire more dental assistants to complete routine tasks, allowing the dentist to see more patients in their practice and to spend their time on more complex procedures. Most dental assistants work full time; however, nearly 1 in 3 assistants worked part time in 2014. Some may work evenings or weekends.